Dog beds are so important that they aren’t even considered optional, but they are a necessity! This won’t come as much of a surprise to anyone who knows me, but I love my fur babies! Actually, everyone on the BW Team loves their animals! I have always been a huge animal lover. I love the unconditional love they give and the fact that they can’t talk back. Ha! So let me get to the point…. While most of us don’t think of our personal beds as being a cherished possession, it is definitely a piece of furniture we don’t want to live without. With so many custom bed choices out there including support levels, temperature controls, height adjustments, etc., have you ever put as much thought into your dog or cats own bed? I think it’s time! Winter is here and we all want to have a comfy place to curl up, including our fuzzy companions. Dog beds are so important that they aren’t even considered optional, but they are a necessity! That being said, why not have a fabulous dog bed that’s not only cozy but fantastic! You can even go as far as designing your own upholstered dog bed for your best friend! 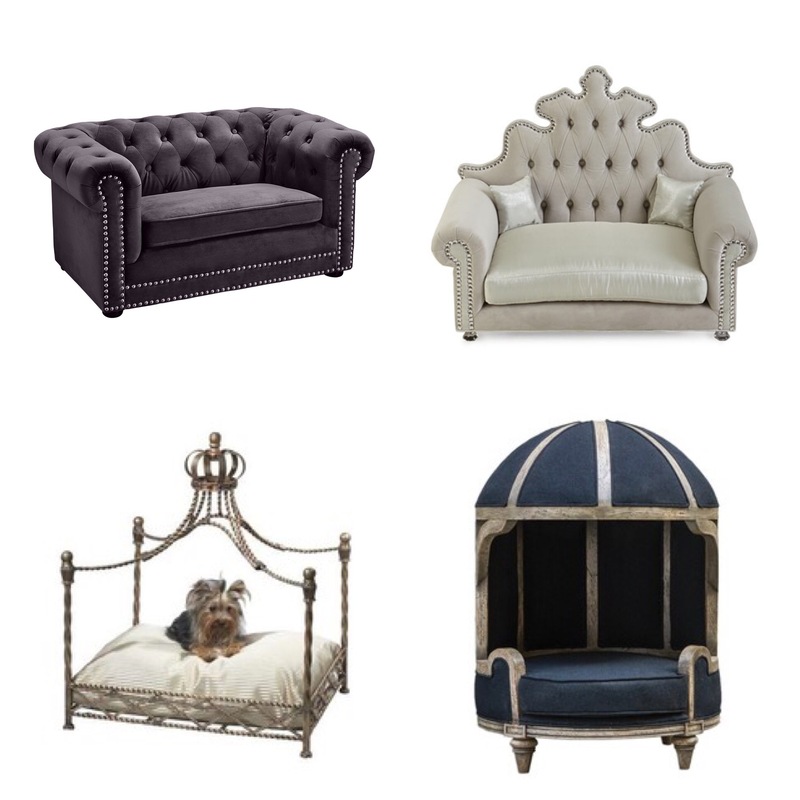 If I were designing a bed for my Miniature Pincher, Milli, it would be a luxurious black fur doggy chaise with gold nailhead detail! Oh boy, she would LOVE it!! Dog beds can be gorgeous, but also practical for our aging “best friends.” I honestly think there are three main reasons for your pet to have a comfortable bed. 1. Dogs love to have their own space, as it gives them a sense of security. 2. Extra cushioning is important for older dogs and now a days you can find orthopedic memory foam to give a better support. 3. Giving your fur baby a bed lower to the ground helps avoid injuries in the long run. So basically what I’m trying to say is, come on down to the showroom and find your dog’s next dream bed! If you can’t find it already made I’d love to design it with you! Happy Holidays and stay warm out there!